That was pretty simple, now what? 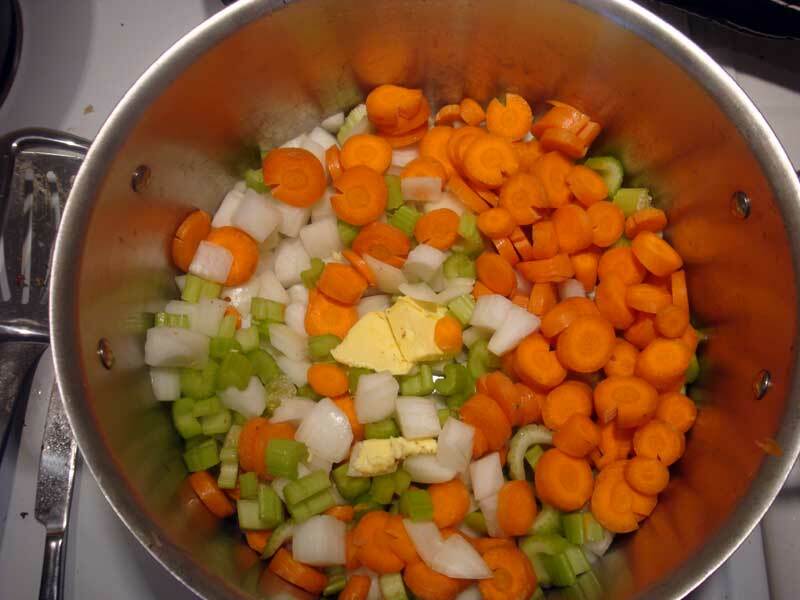 In a large stew pot, add 2 tbsp butter over medium heat. Atop that, add in the celery, carrots, and onions. Cook in the bottom of the pot until onion changes from white to translucent and carrots can be cut with a butter knife (but are still somewhat al-dente). Meanwhile, place 1 tbsp butter and the cubed sweet potato into a skillet over medium heat. We used a flat bottomed skillet, which allows for a larger cooking area. Cover sweet potatoes and allow them to steam a little in order to soften. Be sure to uncover and stir to heat and carmelize the sweet potatoes somewhat uniformly. 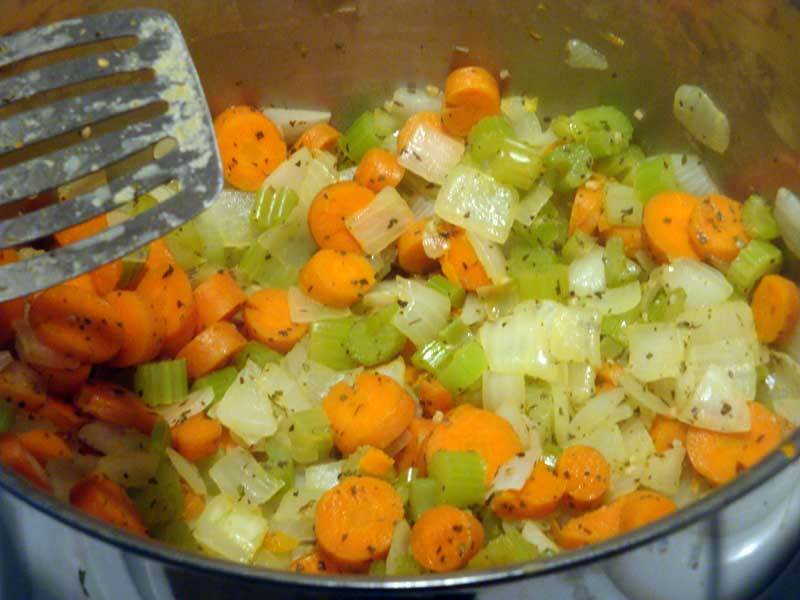 When the onion, carrot, and celery mixture are ready, add spices and garlic. Maintain heat. Add in the stock and bring to a simmer. Our’s was frozen so it took a bit longer. Allow a total simmer/melting time of about 10 minutes. Add in the sweet potatoes and chicken. Our chicken was leftover BBQ chicken and you could really taste the BBQ coming through – and it was delicious. Let everything come to a nice even temperature – a low simmer. Reduce heat and serve! And that’s all there is to it. The homemade stock is so rich and flavorful that when we combined that with the BBQ’d chicken it really took on a life of its own. 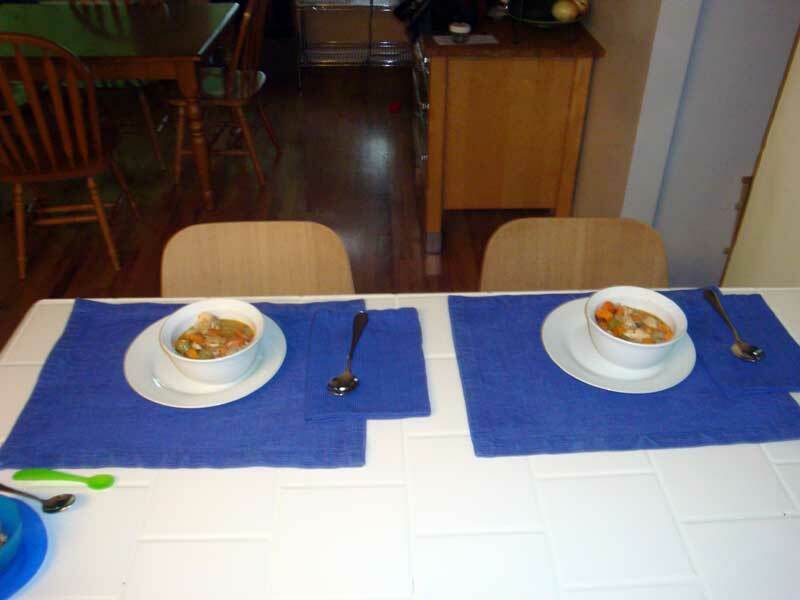 The body of the soup is simultaneously sweet and savory, without being overpowering. The chicken really comes through, as does the feel of the vegetables. Enjoy! Check out that broth! Nothing like homemade stock to really punch up a soup. 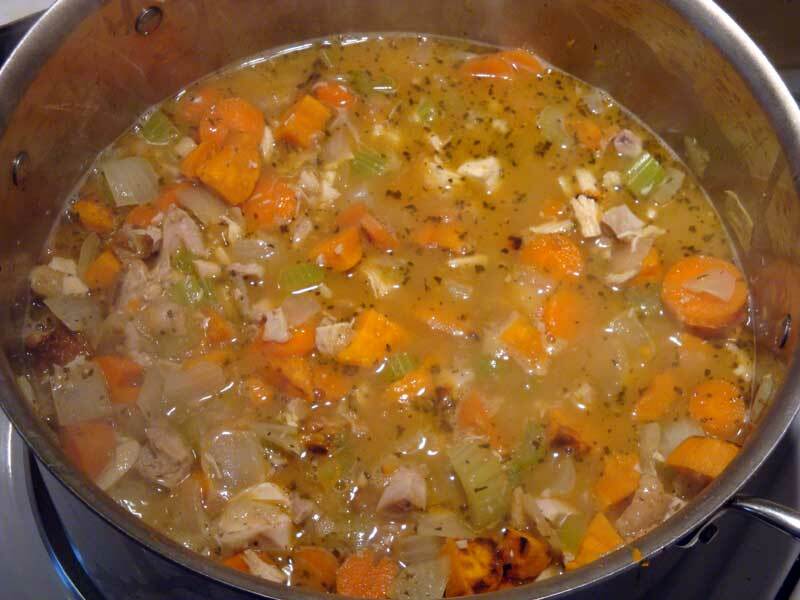 This entry was posted in Diet, Food, Lifestyle, paleo, primal, Recipes, Simple living and tagged chicken, chicken soup recipe, delicious, paleo, paleo soup recipe, primal, recipe, soup, vegetable soup recipe by hbomb. Bookmark the permalink.